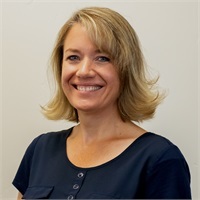 Angela Anderson heads up accounting and human resources at WealthGuard Advisors, Inc. Angela is a detail oriented professional with an impressive capacity for management and holds a Bachelors degree in General studies with a emphasis in management from Brigham Young University. She shares her husband’s passion for life and adventure. Angela has supported Adam in the business from the beginning and started working alongside Adam in 2004 and is an invaluable asset to the WealthGuard Team. When not in the office you can find Angela with her family, at the gym or off on an adventure with Adam.